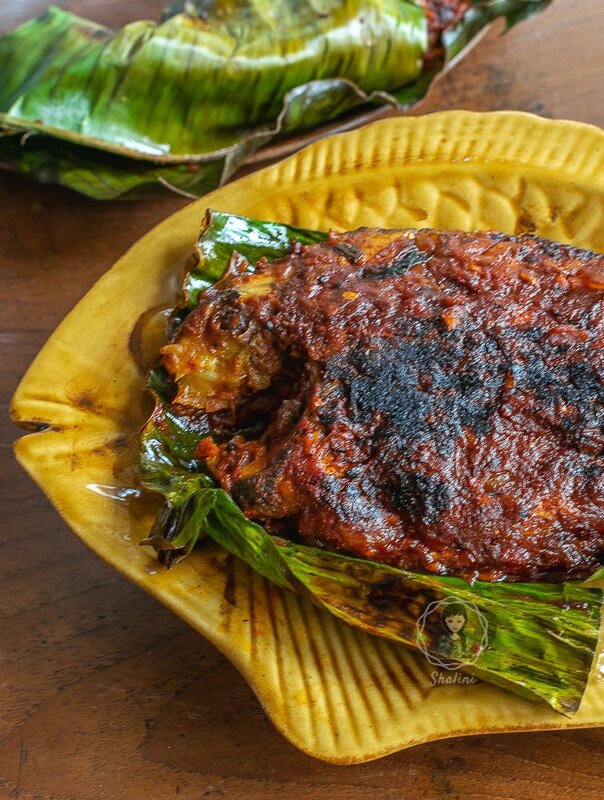 One of the most sort-after recipes of Kerala, Meen Pollichathu are pearlspots or pomfrets smeared in spices, wrapped in banana leaves and steamed to get the delicious seafood you’ve ever tasted! Did you know that the husband hadn’t tasted this dish until he got married to me? Haha, yes. I had to take him to my hometown in Kottayam to present this absolutely delicious food. 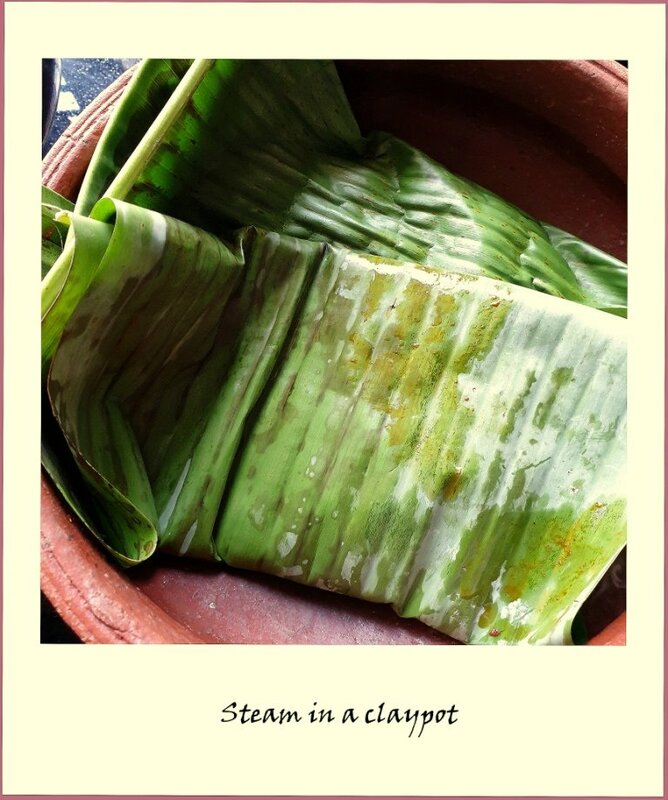 Come to central Travancore and you can find Karimeen Pollichathu (Pearlspot) at every nook and corner. Being a freshwater fish, pearlspots are abundantly found near blackwaters. Hence, it is a delicacy served during your houseboat rides in Alleppey and Kumarakom. 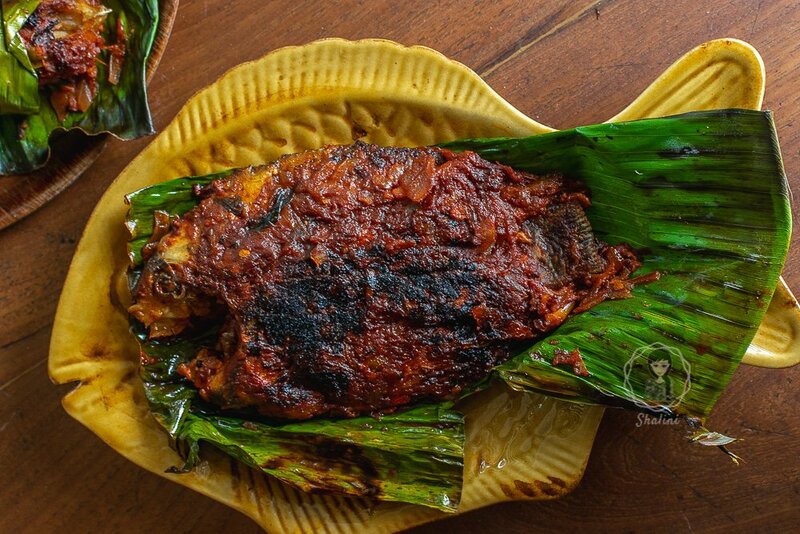 Meen Pollichathu can be made with many varieties of fishes including pomfret, red snapper and mackerel. I have also made with sardines earlier. This is definitely not a complicated dish to do. Ask your fishmonger to do all the squeamish work like cutting, gutting and cleaning the dish and you are good to go. Lightly marinate the fish in turmeric powder and salt and fry till 3/4th done. 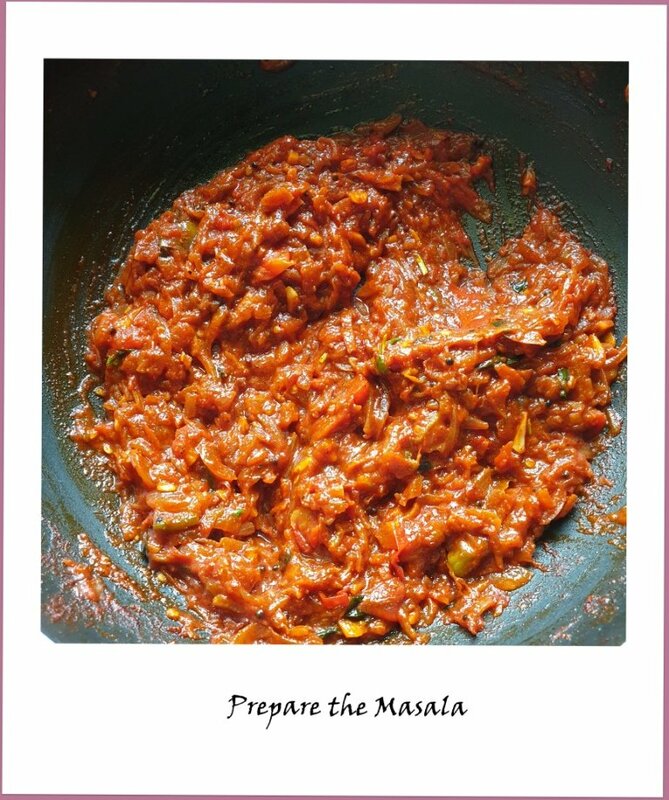 Make a masala of sliced onions, tomatoes, ginger, garlic, green chilies, spice powders, and curry leaves. Wilt banana leaves (place them atop low flame on stovetop and slide. Repeat on both sides). 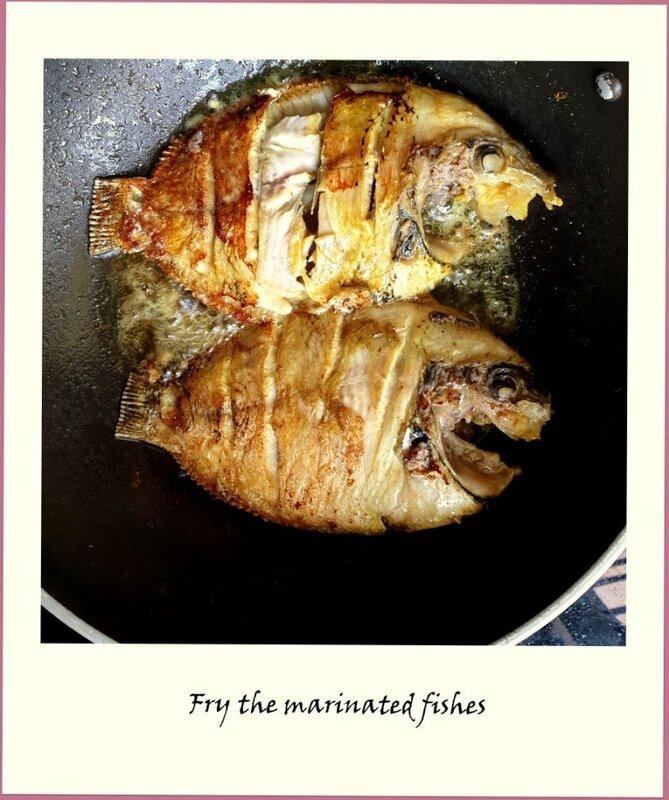 Place a little of the masala, the fried fish and top it with another small portion of the masala. Wrap well, you can use a toothpick to hold it. 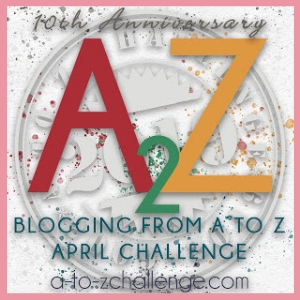 Heat a clay pot (or any vessel). Place one of the whole wrapped fish on it. Close it with a lid and let it cook for about five minutes on low flame. Turn over and cook again. Remove and keep aside. Repeat for all the wrapped fishes. Serve hot with rice or as an appetizer. 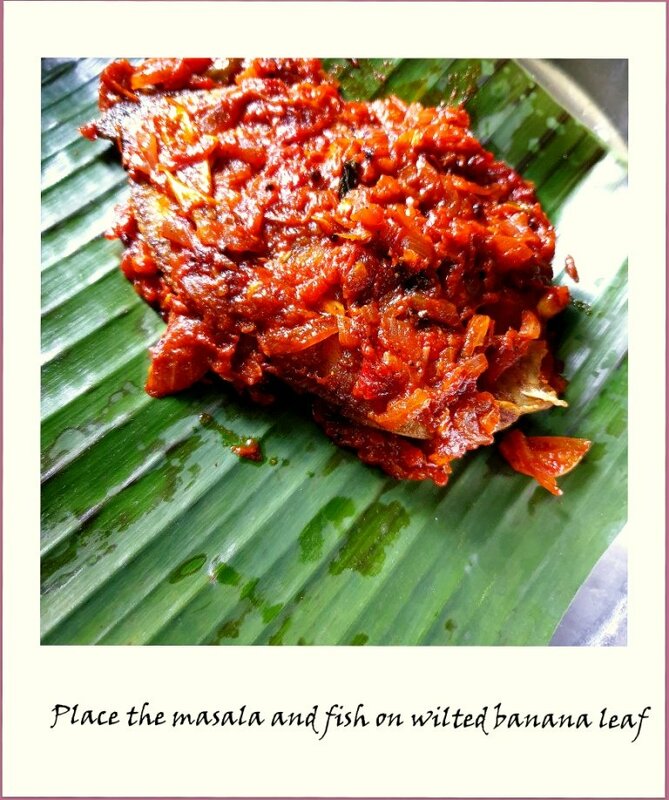 Meen Pollichathu is a traditional Kerala dish where Pearlspots or pomfrets are smeared in spices, wrapped in banana leaves and steamed. Lightly marinate the fish in turmeric powder and salt. Heat oil in a pan and fry the fishes till 3/4th done. It’s time to make the masala. Heat oil in a pan. Add ginger, garlic, green chilies and sliced onions. Saute until the onions turn translucent. Add sliced tomatoes. Saute until cooked. Add spice powders and curry leaves. Saute. Squeeze and add the coccum pulp. Mix well and cook for a couple of minutes more. Clean and wilt banana leaves. Place a little of the masala, then the fried fish and top it with another small portion of the masala. Wrap well, you can use a toothpick to hold it. Do this for all the fried fishes. Heat a clay pot. Place one of the whole wrapped fish in it. Close it with a lid and let it cook for about five minutes on low flame. Turn over and cook again. Remove and keep aside. Repeat for all the wrapped fishes. Have you had this delicacy? Let me know. I love this fish, I had it at Allepy and I am a seafood lover and enjoyed it. It is an easy recipe, will try to make it soon. Loved how you have captured each and every step. Looks really tempting. Many were shocked to see no post on Saturday. This sounds incredible! My lunch today, unfortunately, is a rather boring salad. I wish I could be having this instead. meen pollichattu with sardines is surprising even for me. Love the colour on this. I could kill for meen pollichathu! It is one of my favorite mallu dishes ever! This looks delicious! Now you are talking. Moving away from jack fruits and egg plants and what not. 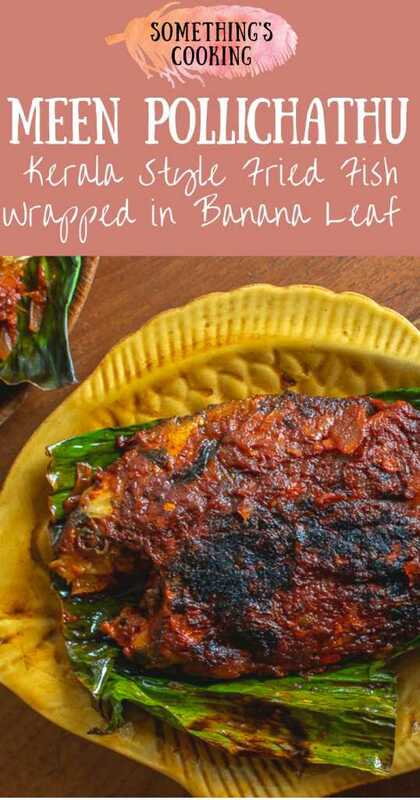 In Bengal there is fish preparation which is made wrapped in banana leaf. It is called Bhetki Fish Paturi. 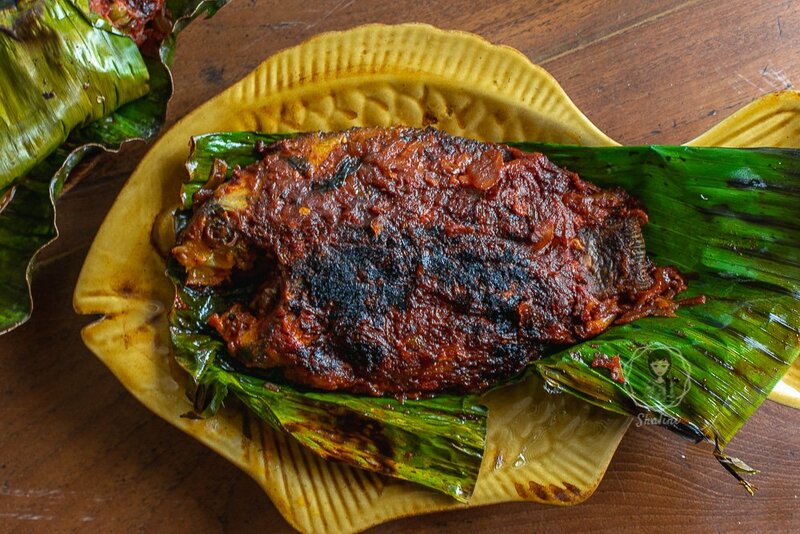 Pomfret is popular too, but not made the Kerala way. 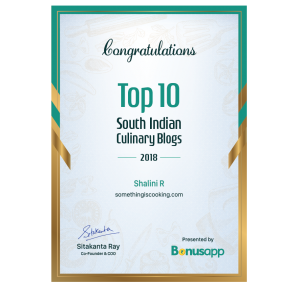 My mouth is watering, Shalini. I love fish and have tasted some of the best fish in Kerala. I am bookmarking this recipe to make later. Can you use any kind of fish for this recipe?